I did some comparison of apparent sizes of deep sky objects and the Moon (http://mikkolaine.blogspot.fi/2014/01/size-of-deep-sky-objects-compared-to.html) and that seems to be the most visited page on my blog so time for another one. These were actually made the same time with Andromeda and Orion Nebula, but for some reason I didn't include them in that post. 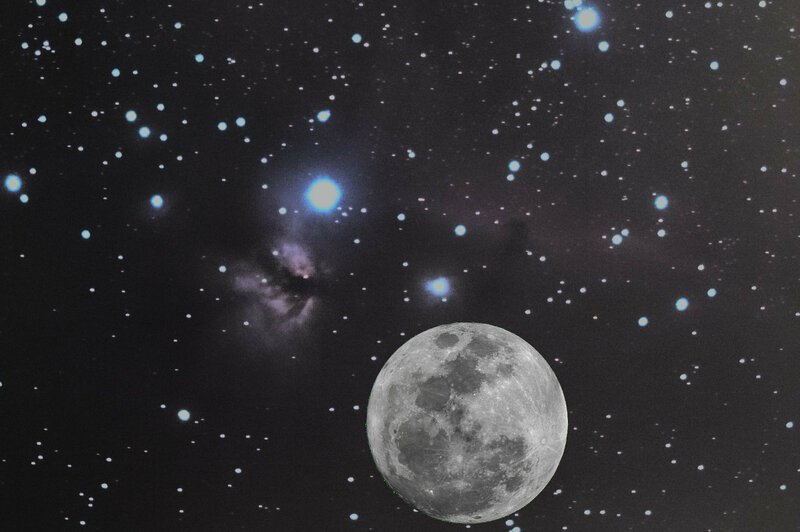 It's not a deep sky object, but interesting whatsoever. With naked eye Jupiter seems just like a star, but even a small telescope or binocular can show that it's not. 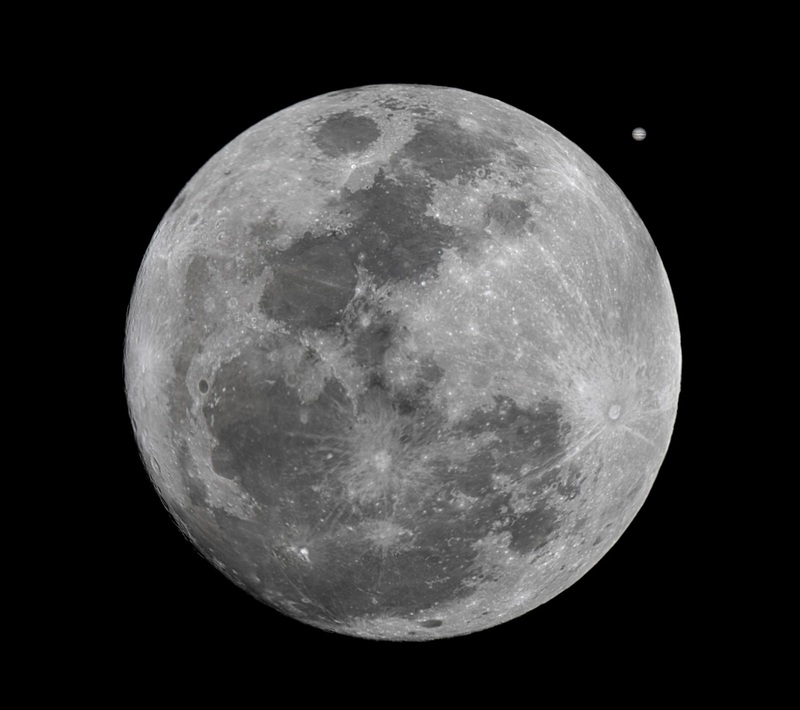 Here's a composite picture comparing Jupiter and the Moon. I don't think I have any more interesting photos to show. There hasn't been too many nights this winter to shoot any astrophotos... Too bad.